Terry Rea: C&M International/Intellectual Property Litigation Lawyer: Washington, D.C.
Teresa "Terry" Stanek Rea is a partner and vice-chair of the firm's Intellectual Property Group and a director with C&M International (CMI), the international trade and investment consulting firm affiliated with Crowell & Moring. Terry is the former acting and deputy director of the United States Patent and Trademark Office (USPTO), as well as acting and deputy under secretary of commerce for intellectual property. She brings a wealth of domestic and international experience and skills to her practice, both legal and political. Her practice concentrates on working with clients in several key areas, including IP policies and strategies, patent enforcement and post-grant administrative proceedings, trade secrets policy and enforcement, and digital/Internet related copyright issues. Managing Intellectual Property recognized Terry as one of the 50 most influential people in intellectual property. Additionally, Terry has been named among the National Law Journal's 2014 "Intellectual Property Trailblazers & Pioneers," Law360's "2014 Most Influential Women in IP," the Washington Business Journal's "Legal Champions," and Intellectual Asset Management’s “World’s Leading IP Strategists 2016.” She was also named one of the Top 25 Icons of IP by Law360 in 2016. She received the Patent and Trademark Office Society’s 2017 Pasquale J. Federico Memorial Award in recognition of her outstanding contributions to the patent and trademark systems of the United States. While at the USPTO, Terry led the agency through the implementation of the America Invents Act (AIA). She was actively involved in writing the regulations implementing the new inter partes review, covered business method review, and post-grant review proceedings created by the AIA, and she negotiated numerous IP issues with foreign officials. Terry was the senior official responsible for the administration's formulation and implementation of U.S. intellectual property policies, including patent, trademark, copyright, and trade secret issues. Terry focuses her practice on U.S. and international IP policy issues and disputes, complex patent litigation and inter partes administrative proceedings, trade secrets protection and enforcement, IP infringement and validity opinions, IP licensing, counseling, and patent portfolio development, management, and monetization. She works with clients in many industries including life sciences, pharmaceuticals, biotechnology, chemicals, medical devices, publishing, and healthcare. She also did work for a number of plant biotechnology companies. Terry advises clients on privacy, piracy, trademarks, issues related to generic top-level domains (gTLDs), and trade secrets matters. In her role with CMI, Terry advises clients on copyright reform, trade secrets rulemaking, and on the important IP and dispute resolution chapters of trade agreements. Terry is the former president of the American Intellectual Property Law Association (AIPLA) and the National Inventors Hall of Fame. Prior to establishing her private legal practice, Terry was a patent attorney for a multinational chemical company. She is also a licensed pharmacist. She obtained her J.D. from Wayne State University, and her B.S. from the University of Michigan. Admitted to practice: District of Columbia, Virginia (practice limited to patents, trademarks, copyrights and unfair competition causes), Michigan, U.S. District Court for the Eastern District of Michigan, U.S. Court of Appeals for the Federal Circuit, U.S. Patent and Trademark Office (USPTO). "PTAB Practice and Strategy," 2017 Berkeley-Stanford Advanced Patent Law Institute: Silicon Valley, Mountain View, CA (December 15, 2017). Panelist: Terry Rea. "Hidden Figures: Exploring Gender Bias in STEM & Intellectual Property," Washington, D.C. (May 31, 2017). Panelist: Terry Rea. "Patent Year in Review," ABA-32nd Annual Intellectual Property Law Conference, Arlington, VA (April 6, 2017). Presenter: Terry Rea. 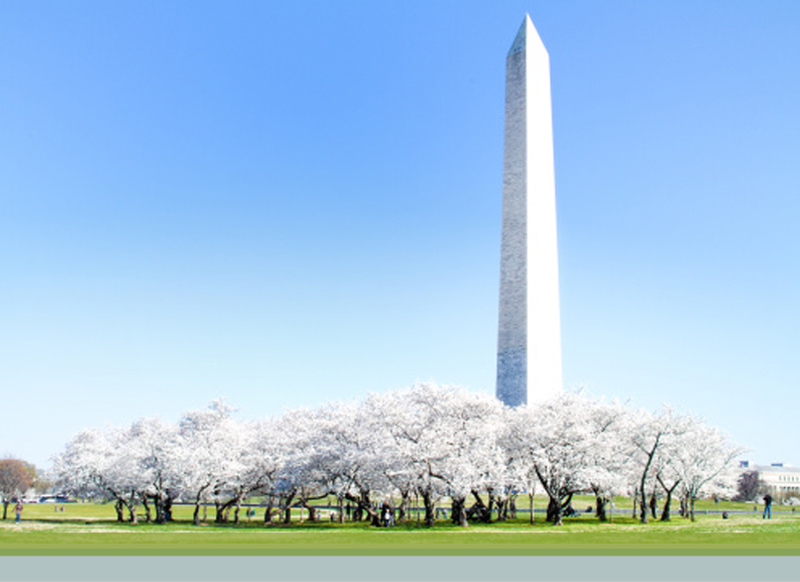 "Section 101 and the Future of CBM Review," 7th Annual Patent Administrative Law Conference, Washington, D.C. (March 16, 2017). Panelist: Terry Rea. "PTAB Practice and Impacts of Recent Federal Circuit Decisions," UT Law 12th Annual Advanced Patent Law Institute, Alexandria, VA (March 9-10, 2017). Moderator: Terry Rea. "General Session 1 - A Brave New PTAB World," PTAB Bar Association Inaugural Conference, Washington, D.C. (March 1-3, 2017). Panelist: Terry Rea. "Tackling the Offensive and Defensive Sides of Inter Partes Reviews," America Conference Institute’s 15th Advanced Summit on Life Sciences Patents, New York, NY (February 27-28, 2017). Speaker: Terry Rea. "Will the PTAB be a Road Block for Biotech? Lessons from the First Three Years of Inter Partes Review and Future Prospects?" 2016 BIO International Convention, San Francisco, CA (June 7, 2016). Presenter: Terry Rea. "IPR Master Class for the Hatch-Waxman Patent Practitioner," ACI - Paragraph IV Disputes, New York, NY (April 27, 2016). Presenter: Terry Rea. "Parallel Proceedings Moot Court: District Court and PTAB Mock Pharmaceutical Patent Invalidity Hearing," ACI - Paragraph IV Disputes, New York, NY (April 25, 2016). Presenter: Terry Rea. "Evidentiary Considerations in PTAB Trials," Building a Winning Evidentiary Record at the PTAB (and Surviving Appeal), Webinar (April 14, 2016). Panelist: Terry Rea. "The Good, the Bad, the Ugly - Patent case law: a year in review," ABA - 31st Annual Intellectual Property Law Conference, Bethesda, MD (April 8, 2016). Panelist: Terry Rea. "Fighting on Two Fronts: Optimal Strategy and Tactics in the Post-Grant Trial World, Including Parallel Litigation Proceedings," PLI - USPTO Post-Grant Patent Trials 2016, San Francisco, CA (March 31, 2016). Panelist: Terry Rea. "The Reviewability of the Patent Trial and Appeal Board's Decision to Institute Post-Grant Proceedings," AULR Federal Circuit Symposium, Washington, D.C. (March 24, 2016). Presenter: Terry Rea. "Drafting Claims During Prosecution," AIPLA Quarterly Journal First Annual Symposium, Washington, D.C. (March 18, 2016). Presenter: Terry Rea. "Fighting on Two Fronts: Optimal Strategy and Tactics in the Post-Grant Trial World, Including Parallel Litigation Proceedings," PLI's USPTO Post-Grant Patent Trials 2016, New York, NY (March 14, 2016). Presenter: Terry Rea. "Legal Hurdles and Developments from Supreme Court/CAFC," Bloomberg BNA - Patent Litigation in the New Era, San Francisco, CA (January 14, 2016). Presenter: Terry Rea. "Industry Impacts: Adapting Your IP Protection Strategies to Changes in the Substantive Law," LSI's Technology Law Conference, Seattle, WA (December 14, 2015). Presenter: Terry Rea. "Legal Hurdles and Developments from Supreme Court/CAFC," Bloomberg BNA - Patent Litigation in the New Era, Washington, D.C. (November 12, 2015). Presenter: Terry Rea. "U.S. Patent Reform: Where Are We Now?," University of Texas School of Law - 20th Annual Advanced Patent Law Institute, Austin, TX (November 6, 2015). Presenter: Terry Rea. "Is Congress Building a 'House of Cards?' How Legislation is Affecting IP and the Innovation Economy," Licensing Executives Society 2015 Annual Meeting, New York, NY (October 26, 2015). Presenter: Terry Rea. "The Evolving USPTO Rules: Best Practices Under the Rules and Procedures for PTAB Proceedings," American Intellectual Property Law Association 2015 Annual Meeting, Washington, DC (October 22, 2015). Presenter: Terry Rea. "Is the IPR process too restrictive – can the parties really litigate all the necessary issues?," 15th Annual Sedona Conference on Patent Litigation, Reston, VA (October 20, 2015). Presenter: Terry Rea. University of Texas 19th Annual Advanced Patent Law Institute, Austin, TX (November 6, 2014). Panelist: Terry Rea. "Working Group X: Parallel Proceedings," Sedona All Voices Conference, New Orleans, LA (November 4, 2014). Panelist: Terry Rea. AIPLA Annual Meeting, Washington, D.C. (October 24, 2014). Speaker: Terry Rea. "What are the Unforeseen Outcomes of a Rapidly-Changing Healthcare Landscape?" Unintended Consequences of Healthcare & Life Science Legislation Symposium, Washington, D.C. (October 15, 2014). Speaker: Terry Rea. All Ohio IP Program, Cleveland and Cincinnati, OH (September 16 and 18, 2014). Panelist: Terry Rea. "The Brave New World of Prosecution Under AIA First Inventor to File Provision," ABA Annual Meeting, Boston, MA (August 14, 2014). Panelist: Terry Rea. "The Most Powerful Tool in Your Arsenal: Using Inter-Partes Review at the PTO to Revamp Branded and Biosimilar Litigation Strategies," ACI - Biosimilars: The Definitive Forum on the Legal, Regulatory, Patent, and Commercial Realities of Biosimilars (June 6, 2014). Moderator: Terry Rea. Rio Roadhouse -Association of Corporate Counsel, San Francisco, CA (May 21, 2014). Panelist: Terry Rea. "Doing Business with the U.S. Government in a Changing IP Environment: What You Need to Know to Protect Your IP," San Diego, CA (May 1, 2014). Presenters: Gail D. Zirkelbach, John E. McCarthy Jr., and Terry Rea. "Doing Business with the U.S. Government in a Changing IP Environment: What You Need to Know to Protect Your IP," Santa Clara, CA (April 30, 2014). Presenters: Gail D. Zirkelbach, John E. McCarthy Jr., and Terry Rea. "The First Eighteen Months of Post Grant Challenges," PLI, San Francisco, CA (April 28, 2014). Panelist: Terry Rea. "USPTO Post Grant Proceedings," Fordham IP Law & Policy Conference, New York, NY (April 23, 2014). Panelist: Terry Rea. World Intellectual Property Day, Minneapolis, MN (April 22, 2014). Panelist: Terry Rea. "The First Eighteen Months of Post Grant Challenges," PLI, New York, NY (March 27, 2014). Panelist: Terry Rea. "Establishing a Global Framework For Intellectual Property Protection," The Information Technology and Innovation Foundation, Miami, Fl (February 24, 2014). Panelist: Terry Rea. "Views from the Patent Offices," The Federal Circuit Bar Association - Bench & Bar, Toronto, Canada (September 17, 2013). Presenter: Terry Rea. "Keynote: New Developments at the USPTO," Managing IP — Global Innovation Summit Shanghai, China (September 4, 2013). Presenter: Terry Rea. "Balancing Innovation and Competition through IP Policies," China Pharmaceutical University, Nanjing, China (September 2, 2013). Presenter: Terry Rea. "How to Protect IP in the United States, Keynote Overview of IPR," IP Symposium, Nanjing and Qindao, China (September 2 and 6, 2013). Presenter: Terry Rea. "New Developments at the USPTO," Japanese Patent Attorney Association, Tokyo and Osaka, Japan (August 29-30, 2013). Presenter: Terry Rea. "Global IP Perspectives and Strategies," 4th Global Forum on Intellectual Property, Singapore (August 27, 2013). Presenter: Terry Rea. "USPTO Union Relationship," Association of Labor Relations Conference, Washington, D.C. (July 23, 2013). Presenter: Terry Rea. "Current Changes in Intellectual Property," Hispanic National Bar Association/Microsoft IP Institute, Alexandria, VA (July 11, 2013). Presenter: Terry Rea. "Bayh-Dole Act and Innovation Metrics, U.S.-China Innovation Dialogue, Washington, D.C. (July 9, 2013). Presenter: Terry Rea. "Launch of the Global Innovation Index Update on the USPTO Initiatives, Cornell University, New York (July 8, 2013). Presenter: Terry Rea. "Current Programs at the USPTO," Bar Association of the District of Columbia, Washington, D.C. (June 13, 2013). Presenter: Terry Rea. "Best Practices Post America Invents Act," Los Angeles Intellectual Property Law Association, Las Vegas, NV (June 7, 2013). Presenter: Terry Rea. "The New Trial Practice at the USPTO," 5th Annual Patterson Thuente Lecture on Intellectual Property, Minneapolis, MN (May 21, 2013). Presenter: Terry Rea. "Update on Progress at the USPTO," Battelle Commercialization Council Meeting, Washington, D.C. (May 16, 2013). Presenter: Terry Rea. "International Series Program Best Practices — A Global Dialogue," Federal Circuit Bar Association, Washington, D.C. (May 13, 2013). Presenter: Terry Rea. "The Patent Trial and Appeal Board," Sedona Regional Conference on Patent Litigation, Washington, D.C. (May 9, 2013). Presenter: Terry Rea. "U.S. China IP Cooperation Dialogue Status of U.S. and China Initiatives," U.S. Chamber of Commerce, Washington, D.C. (May 2, 2013). Presenter: Terry Rea. "Annual Conference New Tools for Search," Patent Information User Group, Alexandria, VA (May 2, 2013). Presenter: Terry Rea. "The Evolving Face of IP," World IP Day, Alexandria, VA (April 26, 2013). Presenter: Terry Rea. "Visionary Innovators and Intellectual Property: Around the World," Licensing Executive Society, Alexandria, VA (April 26, 2013). Presenter: Terry Rea. "Update on Progress at the USPTO," New York/New Jersey Annual Joint Patent Practice Continuing Legal Education Program, video from Alexandria, VA (April 16, 2013). Presenter: Terry Rea. "Patents for Humanity Awards," Capitol Hill Event, Washington, D.C. (April 11, 2013). Presenter: Terry Rea. "Progress on the Joint Project," NBC Learn Science of Education Series, Alexandria, VA (April 3, 2013). Presenter: Terry Rea. "The Interplay between IP and Antitrust," IP Enforcement & Antitrust Defenses Conference, Washington, D.C. (March 28, 2013). Presenter: Terry Rea. "Update on Current Developments at the USPTO," Symposium on Intellectual Property Law & Policy, Akron, OH (March 4, 2013). Presenter: Terry Rea. "The New Trial Procedures before the Patent Trial and Appeal Board, Licensing Executive Society IP 100 Event, Phoenix, AZ (February 11, 2013). Presenter: Terry Rea. "Mid-Winter Institute International Approaches to Intellectual Property Law," American Intellectual Property Law Association, Tampa, FL (February 2, 2013). Presenter: Terry Rea. "Status of Initiatives at the USPTO," iBridge Symposium, Omaha, NE (January 30, 2013). Presenter: Terry Rea. "The Activities between the USPTO and SIPO," Fordham Law School China Program, New York (January 28, 2013). Presenter: Terry Rea. "The Status of the America Invents Act," University of Texas Advanced Patent Law Institute, Alexandria, VA (January 24, 2013). Presenter: Terry Rea. "Status of China Initiatives at the USPTO," Second Annual Joint George Washington Law and Fordham Law School China Program, Washington, D.C. (January 10, 2013). Presenter: Terry Rea. "Status of the IP Attaché Program, U.S. Chamber of Commerce Annual IP Attaché Roundtable, Washington, D.C. (December 11, 2012). Presenter: Terry Rea. "Patents Year in Review," Intellectual Property Owners/U.S. Patent and Trademark Day, Washington, D.C. (December 10, 2012). Presenter: Terry Rea. "IP and Health Care," FasterCures' Partnering for Cures 2012, New York (November 29, 2012). Presenter: Terry Rea. "Implementation of the America Invents Act," American Conference Institute Biotech Patents, Boston, MA (November 28, 2012). Presenter: Terry Rea. "Rebuilding the Ecosystem of Innovation: Implications of U.S. Patent Reform on the Biological and Life Sciences," MichBio 2012 Annual Event, East Lansing, MI (November 8, 2012). Presenter: Terry Rea. "Accelerated Case Review," Trademark Trial and Appeal Board Roundtable, Washington, D.C. (October 30, 2012). Presenter: Terry Rea. "The Importance of the Role of the Ombudsman, Coalition of the Federal Ombudsman Event, Alexandria, VA (October 29, 2012). Presenter: Terry Rea. "4th Life Sciences Congress on Paragraph IV Disputes," Center for Business Intelligence, Washington, D.C. (October 25, 2012). Presenter: Terry Rea. "Intellectual Property: Streamlining Bid May Complicate Patent Fights," National Law Journal (February 10, 2014). Co-Authors: Terry Rea and Scott L. Bittman.